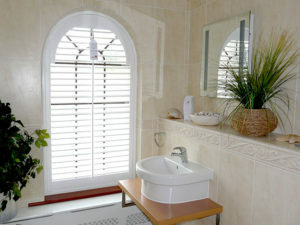 The finest Orpington plantation shutters by Just Shutters – your local experts. Orpington and the surrounding areas are covered by our shutter specialist David. Having lived in Kent all his life, David has a particular interest in providing outstanding service and quality to home owners in his local area. Our plantation shutters are second to none. While we pride ourselves on our local specialist service, we are also able to offer the value and guarantees of a larger company. Giving our customers the very best of both worlds. Our experience and quality make us the best choice for shutters in Orpington. Shutters are the most stylish and versatile window covering. Whilst also being hard-wearing and practical. Unlike blinds or curtains, shutters do not deteriorate, warp, or fall prey to mould or mildew. They are low maintenance and so extremely attractive. Shutters add security, privacy and overall value to your home. All our shutters are made to measure. David, your local Orpington specialist can come to your home and advise you free of charge, on the very best solution for you. He will talk you through your options, the materials, finishes and colours (did you know we can colour match our shutters to any room) and inspire you to how your home will look with our fantastic interior plantation shutters. Our service has been endorsed by over 7000 satisfied customers. While our lifetime guarantee speaks for how confident we are in our outstanding product! 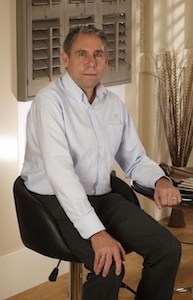 So call David today 01892 575858 and allow him to show you how our range of shutters can enhance and enrich your home. All at a price that may surprise you with it’s value. We would be delighted to bring samples direct to you so you can see exactly how shutters will suit your home. We can discuss your needs and provide you with a quote. Please call us on 01892 575858. “Really pleased have shutters in lounge and they matched these so perfectly. Same guys from measuring to fitting. If you are looking for Plantation Shutters in Kent, Contact David, your Orpington shutter specialist today on 01892 575858.